Looking for the right vacation rental? 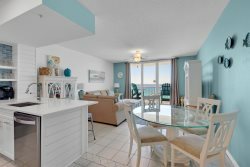 See what past visitors have to say about our rental properties in Navarre Beach, FL. Rafael was very friendly and helpful. We enjoyed our time there, and would love to come back. Front desk employees were very pleasant. Lovely location, very clean facilities, condo was bright and comfortable with a gorgeous view. We visit Navarre summer wind every year and usually more than once. It is always a perfect location and meets all expectations. Weve been frequent visitors for the last 11 years. The staff has always been friendly and helpful. Staff was helpful and friendly. I so appreciated their kindness. Love the Navarre Beach area. We will likely be back. I had no problems just would have questions about the general use of property. Friendly staff. I enjoyed the stay/property. Easy axcess to the beach. The one thing I liked about location of our condo I could use the stairs all the time no use of the elevator. The beach, pier, water are beautiful. I highly recommend BV 107. The location was perfect!